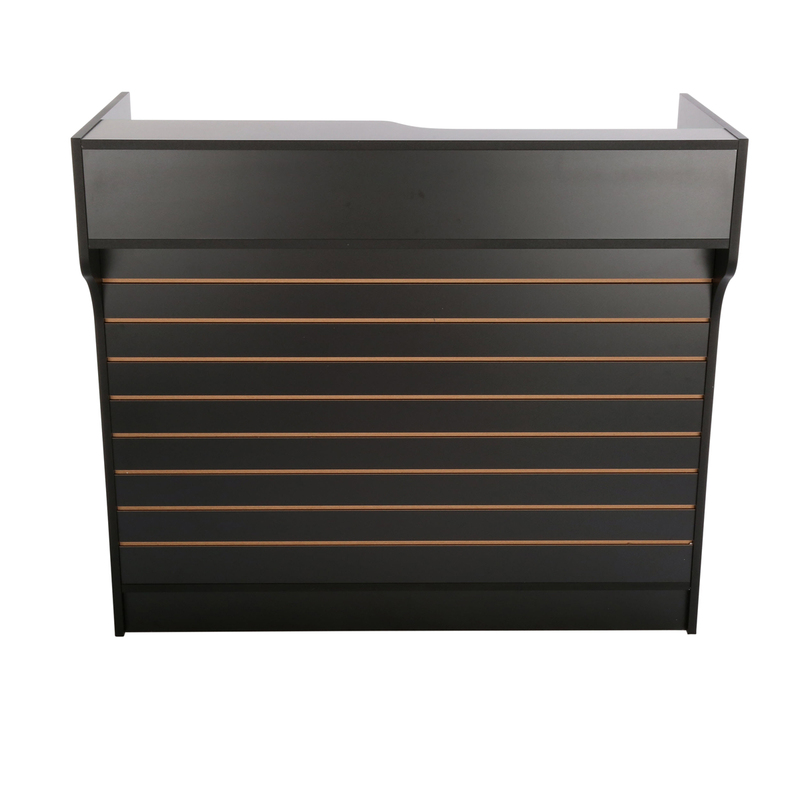 This quality Ledgetop Counter is great as a Restaurant Check out Counter or Reception Station for your Salon or Office. The Ledgetop Counter has a 22 in. D recessed ledge to hold register. The inside of the counter has 2 shelves and a drawer for storage. The Ledgetop Counter ships knocked down (some assembly required) resulting in lower shipping costs. The Versatile Ledgetop Counter display features a slatwall front which is can be used with peg hooks, acrylic shelves or any other slatwall accessory to display impulse items. Front slatwall area is 70 in. W x 30 in. H. View all the Slatwall Accessories here.